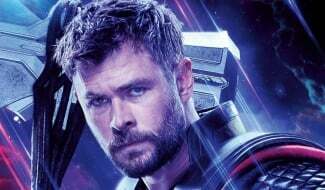 Marvel fans were cut up by the devastating end of Avengers: Infinity War, as so many of our favorite heroes were wiped out by Thanos’ Snap. Still, as heartbroken as we all are at the moment, imagine if you were actually one of the ones left behind. 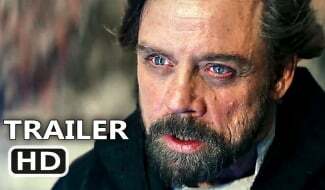 How terrible would it be if many of your best friends suddenly turned to dust in front of your eyes as you realized you’d failed to save the universe? 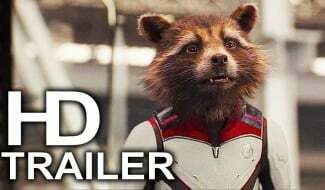 Arguably one of the heroes who had the toughest time of it by the end of Infinity War was Rocket, who was the only one of the Guardians of the Galaxy to survive the Mad Titan’s wrath. With Gamora having been sacrificed earlier in the movie, Star-Lord, Drax, Mantis and his beloved Groot all fell to Thanos and the last time we saw the trash panda, he was breaking down as he helplessly watched the latter die. Now, just to really punch us in the gut, fan artist Boss Logic has created a new piece of digital art that imagines a lonely Rocket grieving his friends. Check it out below and note the caption that came with it: Please grow back! 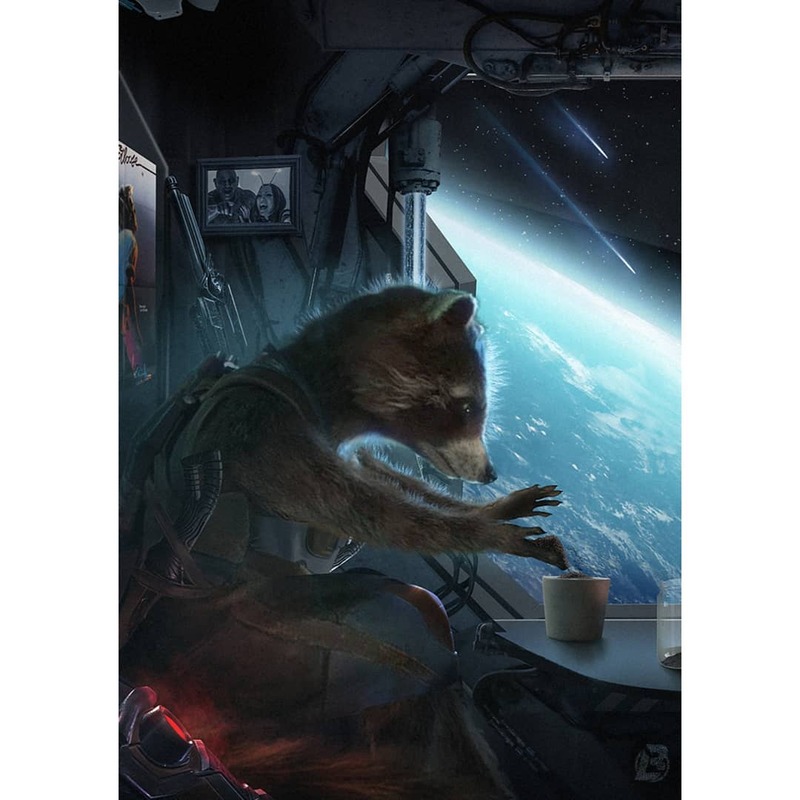 As you can see above, the central part of the image focuses on the raccoon fruitlessly trying to regrow his tree friend in a pot plant using his leftovers, much like he did at the end of 2014’s Guardians of the Galaxy. 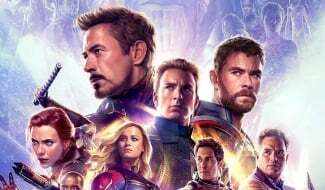 Around the edges of the image, you can see references to Rocket’s other teammates, as a photo shows Drax and Mantis laughing and in the bottom left corner you can spot Star-Lord’s helmet. A poster of Footloose, Quill’s favorite movie, is also seen on the spaceship wall. The good news for Rocket is that we’re pretty sure he’ll get his friends back in time for Guardians of the Galaxy Vol. 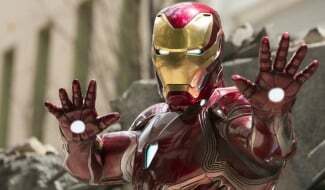 3, as director James Gunn has suggested it’s going to be set after Avengers 4. 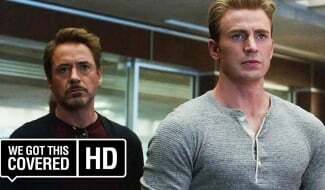 And while there’s no telling what’ll happen in that film just yet, we fully expect Earth’s Mightiest Heroes to resurrect their fallen allies in next May’s sequel.